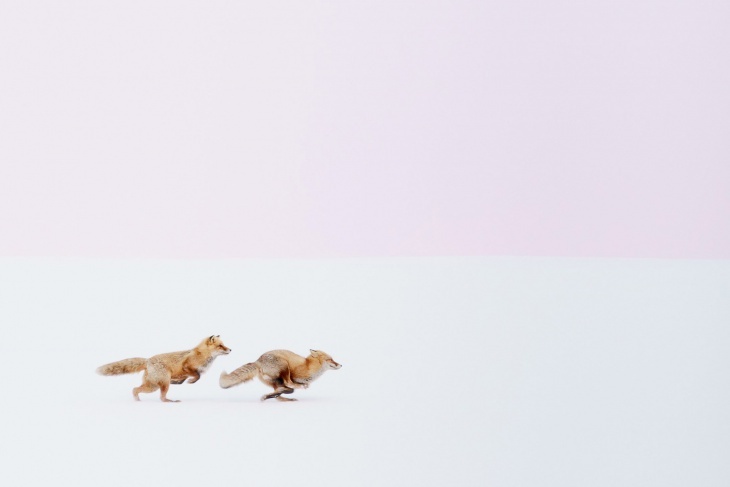 The much anticipated 2016 National Geographic Travel Photographer contest has finally revealed its winners. And the winning photographs are certainly going to take you through one of the most stunning virtual rides that you have witnessed till date. The mystifying frames that capture the landscapes beautifully not just focus on the magnificent idea but also on the little minute details that make up the aesthetic value of the photograph. Starting with number 10, we are enlisting the top 10 entries of the winners from the photography contest. Hope you find yourself enveloped by the charm of nature. In the photograph, we can see the beauty and movement in sport. 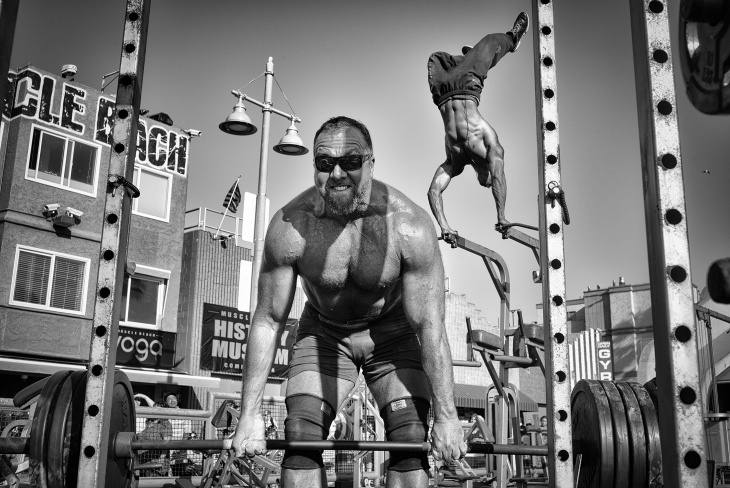 With a weightlifter trying to lift a barbell and a bodybuilder performing an aerial handstand at the muscle beach gym in Venice. 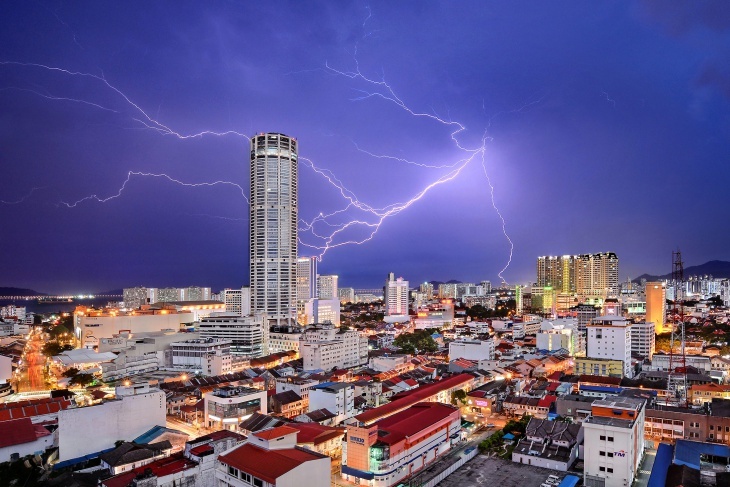 The beautiful frame captures the lightning striking at Komtar Tower in Malaysia. Tower is an iconic landmark in George Town and is famous for the unusual integration of old buildings and modern structures. The picture ‘strikes’ the same clarity of thought. 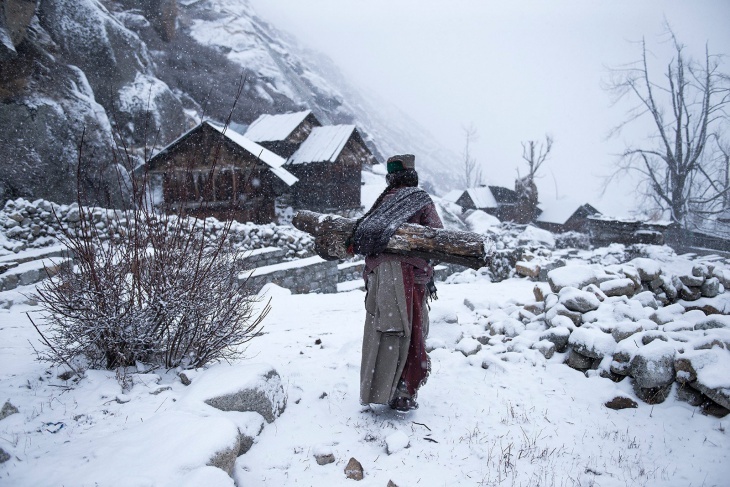 With a snowy landscape, the photograph shows Kinnaura old tribal women carrying a log of wood to warm her house in Himachal Pradesh. The inclusion of elements like dried plants and trees covered with snow not just reflect the tough life and weather of the place but also the simplicity and beauty of nature. 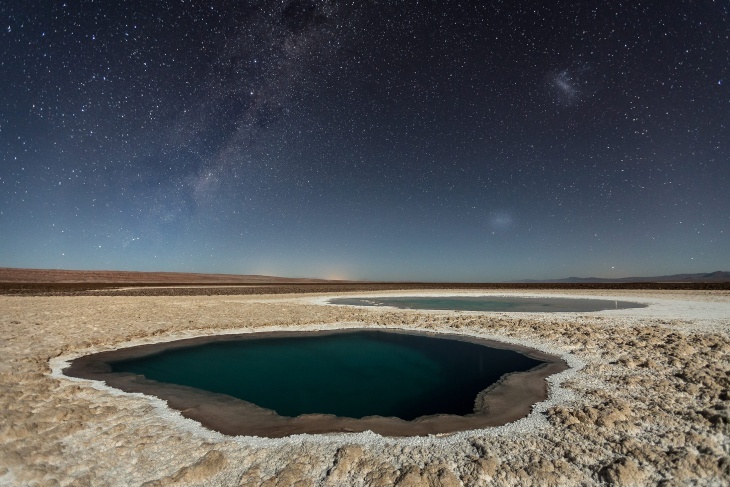 The Baltinache Ponds also known as the Hidden Ponds are a set of 7 ponds located near San Pedro de Atacama. This is by far the first photography of this place taken in the night. The foreground of the image has been illuminated by the moonlight. Silenced by Wing Ka H.
The photograph shows the school dormitory of South China Normal University. 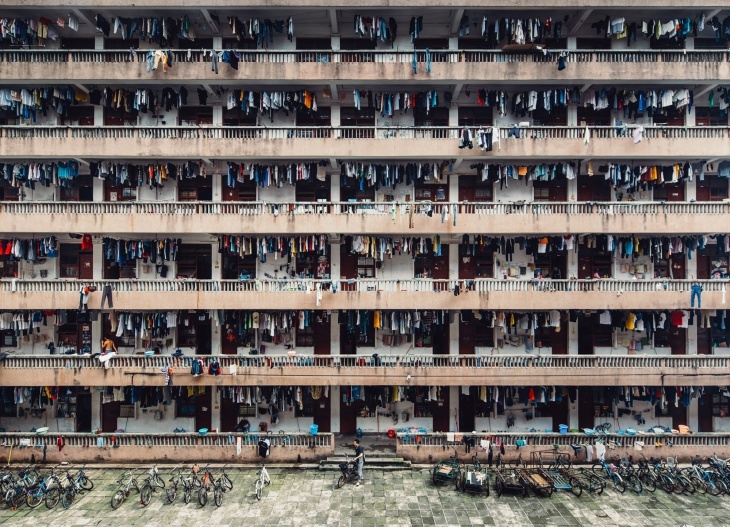 There is a uniformity maintained in the photographs either with the clothes hanging on the balcony or with the cycles parked in symmetry alongside each other. We can say that photographer captured the beauty in messy. 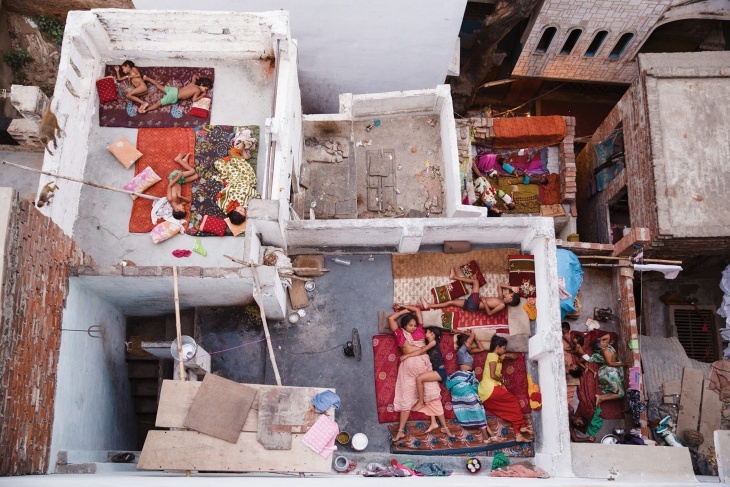 The photographer captures the essence of middle-class life in Varanasi. From the rooftop of the 7 story building the Mund shows the rooftop of the houses below. We can see entire families along with the dog enjoy the nature’s airconditioning in the Varanasi summers. It is often said it is the timing of the click that matters and in this photograph clicked by Bencivenni, we can actually come to terms of accepting it. 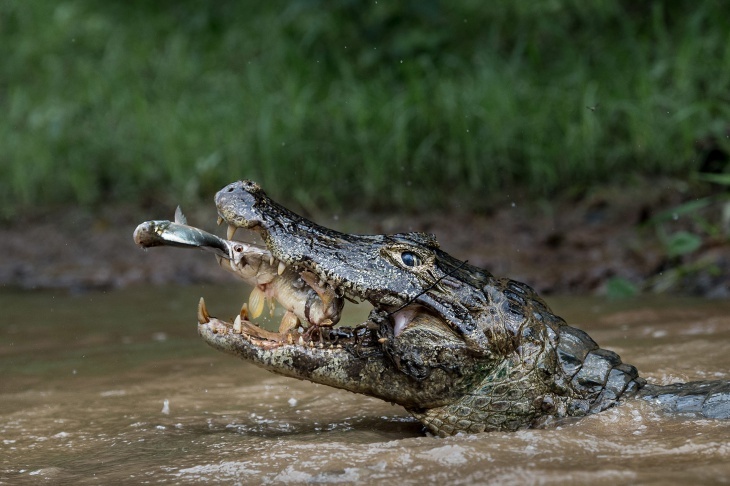 The photograph shows a croc capturing his prey, a fish, and the fish capturing his, a little fish. What could be a better way of portraying the circle of life? 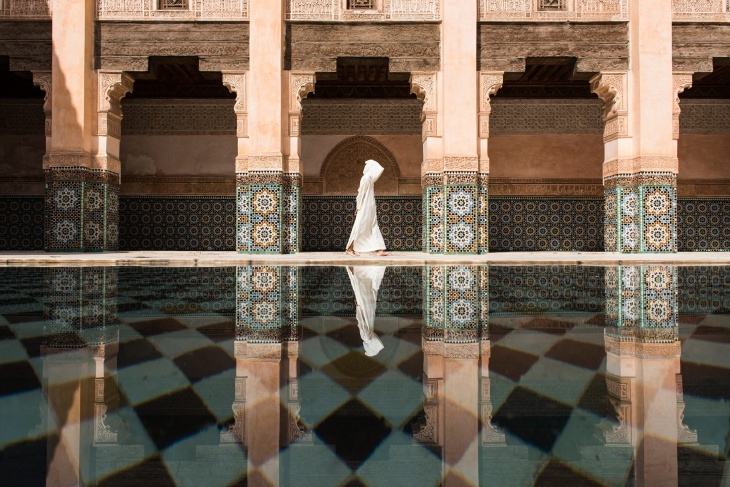 With a clear reflection of the pillars and a single passing silhouette, the picture reveals an absolute peaceful moment. A photograph so clear that it is only and only the subjects that grab your sole attention. 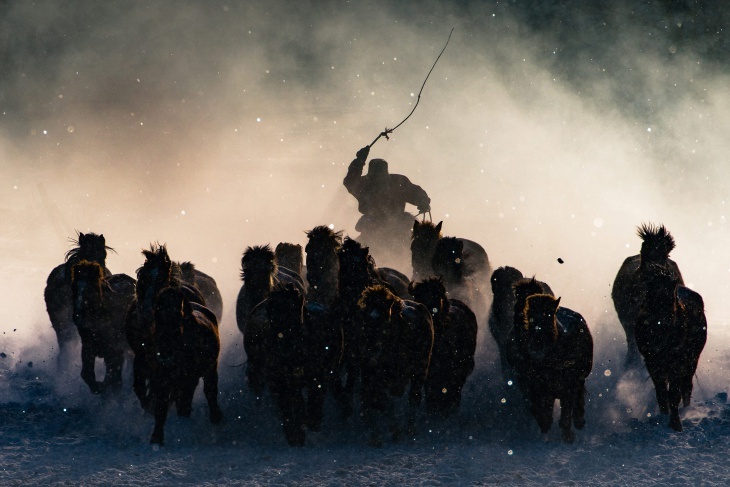 The winning photo was captured by the photographer in tough climatic conditions with the temperature of minus 20F and consistent blow of snow. The horseman is strikingly seized in the moment of morning mist. We hope that every photograph evoked a memory which positively was worth more than a thousand words.